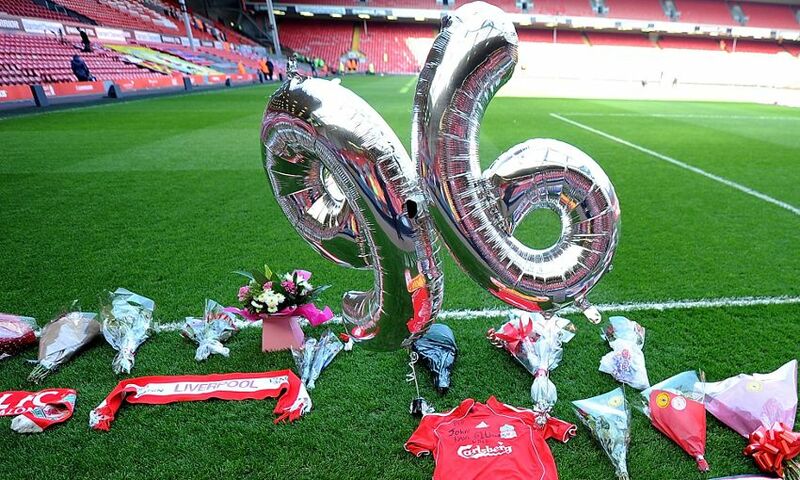 Two Liverpool FC fans tracked down a Hillsborough victim’s parents to tell them their son didn’t die alone. The inquests heard the parents of Henry Rogers, a 17-year-old from Dodleston, near Chester, were contacted by fans John Owen and David Roland who told them their son had died in Mr Owen’s arms. But, Mr Owen today told the inquests into the 96 deaths he no longer believed that was the case. In a statement he made in 1989, he said: “The next thing I remember was that I was in the six yard box near the goal when I tripped over a foot. “I looked down and I saw a young lad lying on his back with his right knee in the air and his hand was in the air as well. “I grabbed his hand and I knelt down beside him. “I took his hand and asked him if he was alright. “I lifted his head up. He added: “I saw his eyes roll back and he died in my arms. “I later saw a picture in the Liverpool ECHO newspaper of this boy and his name is Henry Charles Rogers. Photos showed him carrying Henry on a hoarding and kneeling down by him at the Spion Kop end of the ground. But he said, after experiencing flashbacks five years after the disaster, which happened on April 15, 1989, he believed he helped two casualties on the day and the boy who died in his arms was not Henry. He confirmed he had visited Henry’s parents, Stephen and Veronica, on April 20, 1989, and told them Henry was not alone when he died. But he said he no longer believed that the account he gave them was correct. He told the court: “The accounts I gave first were probably quite rushed and quite hazy. Friend David Roland told the jury he still believed that Henry had died in Mr Owen’s arms. He told the court he had seen Henry’s picture in the ECHO. He confirmed they went to see Henry’s parents in the days after the disaster. Both Mr Owen and Mr Roland attended Henry’s funeral. The court heard Henry, who was studying for A-levels in maths, chemistry and economics, had gone to the semi-final with his older brother, Adam, and two friends, Philip Greenough and Carl Willis. Adam, who was two years older than Henry, died six months after the tragedy. In a statement he said they had gone to Sheffield without tickets but had tried to find a tout outside the turnstiles. He said: “Our group of four were still together at this point and I still thought it would be possible for us to purchase tickets. The friends went into the stadium when the exit gate was opened. He said he lost his grip on his two friends once he was in the pen. He added: “About midway down the terrace I lost my grip on Henry and while I was forced downwards towards the perimeter fence, Henry was forced sideways to my left. “We tried to get back towards each other, but it was impossible to do so. “I would say that this was about 20 seconds after we had emerged from the tunnel. Footage showed Henry at the front of pen three just after 3pm. The court heard Karl Knights, a PC, attempted to resuscitate Henry in the pen and carried him onto the pitch after seeing no response. Resuscitation attempts were also made at the Spion Kop end of the pitch after Henry was carried there on a hoarding. Martin Shillitoe, a constable with West Yorkshire Police, described helping a man he thought was a doctor to try and revive Henry. The court heard Mr Knights came across Henry again at the Spion Kop end of the pitch and carried him into the gymnasium, where he was confirmed dead by a doctor at 4.20pm and identified by his parents in the early hours of the following morning. An off-duty nurse who treated a Hillsborough victim on the pitch said he was told the man had only just stopped breathing. Liverpool fan David Evans, who worked as a charge nurse in Broadgreen Hospital in 1989, told the inquests he had treated 27-year-old Barry Glover, from Ramsbottom, Bury, at the Spion Kop end of the pitch. The court heard he was working with Sheffield Wednesday club doctor, Dr William Purcell. He said they checked for vital signs but found none and after seeing no response to CPR Dr Purcell made the decision to stop. Mark George QC, representing Barry’s wife, Stephanie Sweeney, thanked Mr Evans for his “strenuous efforts” on the day.